A detailed overview of Sharia-compliant finance--one of today's most dynamic and influential sectors Islamic banks, which are becoming increasingly wealthier, are ever in search of sharia-compliant investments. In order to capitalize on this new development, investing professionals must familiarize themselves with this burgeoning investing method. 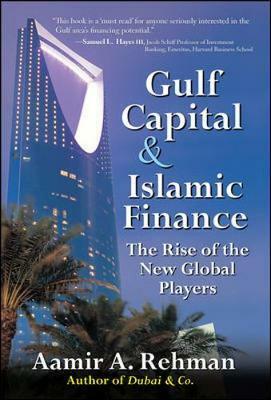 Gulf Capital & Islamic Finance introduces bankers, money managers, and investors to the strategic and technical aspects of Islamic finance, covering a broad range of vehicles, including Islamic bonds, Sukuks, ETFs, and takaful (Islamic insurance). In an era of evaporating liquidity and endless adjustments to economic crises, Islamic finance is one of the few areas that continues to grow. Aamir A. Rehman (Staten Island, NY) is an expert in global strategy, the Gulf region, and Islamic finance. He is author of Dubai & Co.: Global Strategies for Doing Business in the Gulf States (McGraw-Hill, 2007), a strategic guide for global firms seeking to do business in one of the world's most dynamic regions. He is also author of a Harvard Business Review article entitled "Islamic Finance: The New Global Player." Mr. Rehman was formerly Global Head of Strategy for HSBC Amanah, a business unit of the world?s third-largest bank, offering Shariah-compliant financial services across nine major markets worldwide. He is currently Head of Strategy for Fajr Capital, a principal investment firm focusing on opportunities in key markets of the Middle East and Asia. Dubai & Co. and Mr. Rehman's management commentary have been featured in the Wall Street Journal, the Financial Times, US News and World Reports, the Wharton Leadership Digest, and other media outlets. He has spoken at conferences and events in the US, the Middle East, and Asia.